An American Indian tribe in Connecticut is asking a federal court to revive its lawsuit against Interior Secretary Ryan Zinke, alleging that he illegally bowed to political pressure before blocking them from opening a new casino last year. Interior last year refused to sign off on a proposal from the Mashantucket Pequot and Mohegan tribes to open a third casino in Connecticut, after an intense lobbying campaign from MGM Resorts International and two Nevada Republican lawmakers. Las Vegas-based MGM recently opened a new casino in Massachusetts that would have faced competition from the tribes’ joint venture 12 miles away in East Windsor, Conn. The Mashantucket, joined by the state of Connecticut, say in the new filing that Interior’s decision not to approve its application “was the product of improper political influence and was therefore ‘arbitrary and capricious’” and in violation of the Administrative Procedure Act. They cited a 1971 D.C. Circuit decision that invalidated approval of the Three Sisters Bridge in Washington, D.C, because of political pressure leading to the decision. Judge Rudolph Contreras of the U.S. District Court for the District of Columbia last month agreed with Interior that the tribe’s initial lawsuit should be dismissed because of technical differences between how the Mashantucket and Mohegan tribes initially won approval to operate casinos decades ago. Interior’s decision last September appeared to have changed at the eleventh hour after career officials in the Bureau of Indian Affairs had spent weeks preparing to approve the arrangement, as POLITICO previously reported based on internal emails. The tribe says in its new filing that they were in frequent contact with Interior officials in the weeks before the decision and were caught off guard by the result. The decision is under investigation by Interior’s Office of Inspector General, which is in the midst of an apparent shakeup. A political appointee from HUD, Suzanne Israel Tufts, is becoming acting IG at Interior, according to an internal email sent by HUD Secretary Ben Carson, but staff in the watchdog’s office apparently have not been told of the move. 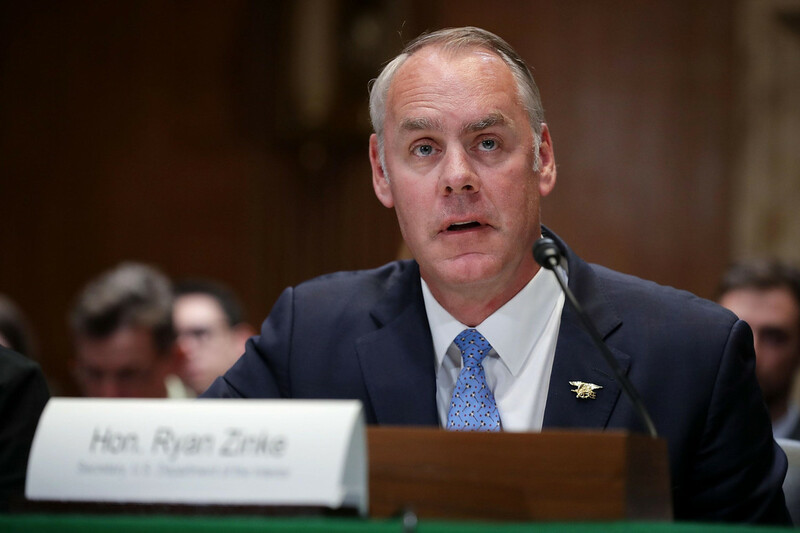 The tribe on Wednesday asked to file an amended complaint adding new arguments against Zinke, including the political interference claim, as well as arguments that appear aimed at overcoming the technical issues that caused their initial complaint to be dismissed. According to the new filing, Interior officials advised both tribes on Sept. 8, 2017, “that the Department had prepared draft approval letters.” But a week later, Interior told the tribes it was returning the documents they had submitted without taking any action. Despite “repeated affirmations to the Tribe that the Tribal-State Agreement would be approved and widespread acknowledgment among the Department’s experts that there was no basis to disapprove the Tribal-State Agreement, the Department ultimately buckled under undue political pressure from both Senator Dean Heller (R-NV) and Representative Mark Amodei (R-NV-02),” the amended complaint alleges. Citing “information and belief,” the tribes claim “Heller directly pressured Secretary Zinke to do what was necessary to stop the Tribes’ joint venture casino project during a private dinner at a steakhouse in Las Vegas” on July 30, 2017. Spokespeople for Heller, Interior and DOJ did not immediately respond to requests for comment Wednesday. MGM, which has been approved to intervene in the case, said the tribe’s new filing is a “meritless attempt” to overcome the dismissal of its first lawsuit.